Here at DBS, we've seen foundation issues of all types, and we have solutions for each one. Leaning walls, tilting chimneys, cracking foundation walls, sinking floors, and rotting crawl spaces are just a few of the problems that we work with every day. Our warrantied solutions are just what you need to repair your structural issue, returning the structure to its original position -- warrantied! 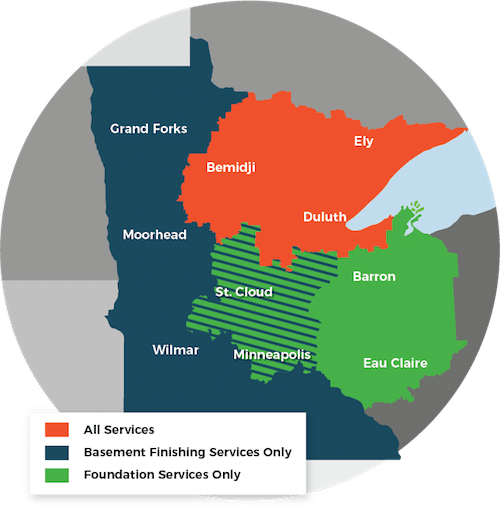 At DBS we repair foundations throughout Minnesota and Wisconsin every day. Here's just a few before and after photos of damage structures we've repaired.